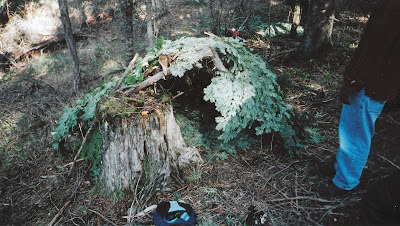 There a few basic criteria to follow when it comes to building a wilderness survival shelter. Depending upon the situation (injury, location, etc...) you won't always be able to use everyone, but the more you do the warmer you'll be. Warm: You must create a dead-air space where warm air is trapped. Wind and Waterproof: Warmth cannot be achieved if you have wind blowing through your shelter and you're getting wet from above or below. 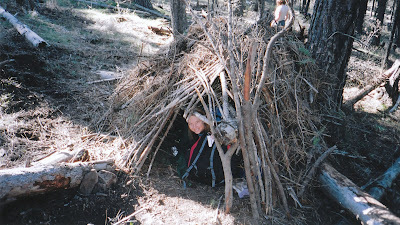 Small: The smaller a shelter is the easier it is to build and the easier it is to heat. 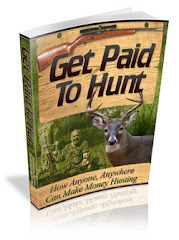 NOTE: Remember that any endeavor in a survival situation comes at a price of calories or energy and so you must always conserve your energy and only spend it when the return is greater than the expenditure. Strong: You want a shelter that won't collapse on your head or blow over in a storm. Easy to Construct: Keep it simple, remember the cost of calories to build, the easier the shelter the less calories spent. South Facing Slopes: If you can, south facing slopes are warmer and have rocky terrain for radiant heat, north facing slopes are colder and damper, the trade off though is that north facing have more vegetation and therefore more material to work with. 50-75ft up from canyon floor: If you remember from the winter shelter posts, we created colder air sumps so that the cold air had a place to settle away from where we were sleeping. Well this is true on a larger scale meaning that canyon bottoms are where the cold air settles and so getting 50-70ft up out of the bottom of a canyon or revene can change the temperature significantly. An easy way to figure this out is to find a tall tree at the bottom and just head up the hillside until you're about even with the top of it. Easy to Construct (keep it simple). 50-75ft up from canyon floor. 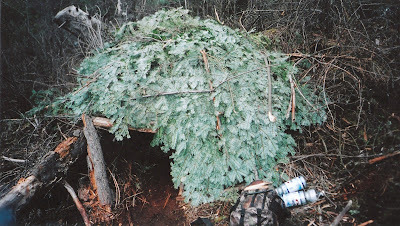 These are the basic criteria for wilderness survival shelters and the more you can follow them the better shelter you'll have. 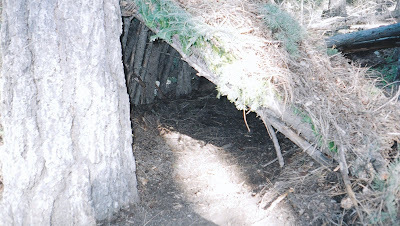 In my next post will break down the 3 Components of a good shelter.